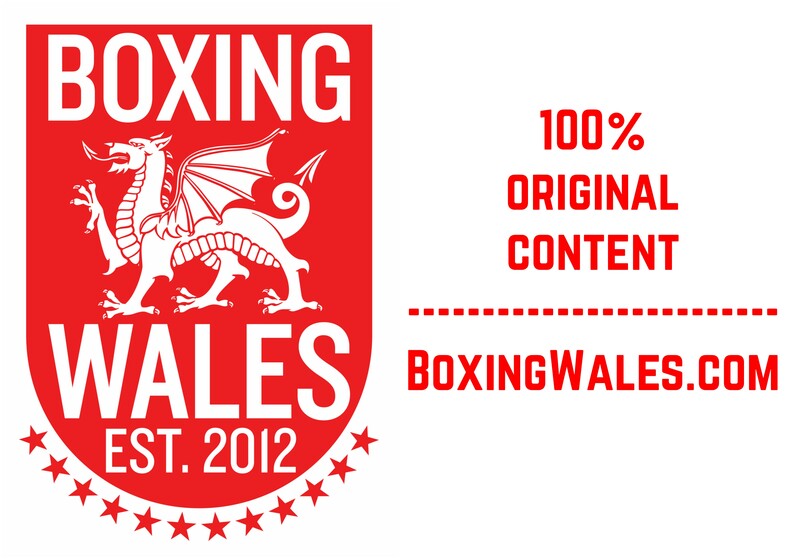 Cwmgors’ Chris Jenkins (13-0, 5KO) has told BoxingWales.com that sparring with the boxers at St Joseph’s Boxing Club in Newport has helped him prepare for his fight on Friday. 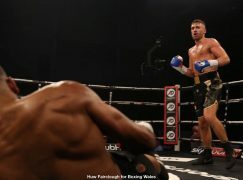 The 25-year-old Welshman will face Bulgaria’s Asan Yuseinov (13-7-2, 7KO) in an eight round contest on Sanigar Events’ ‘Welsh Pride’ show, live on Eurosport (Sky Ch. 410). Jenkins said, “Before my last fight, I struggled for sparring. That’s the reason why I’ve spent some time sparring with the St Joe’s boys in Newport. 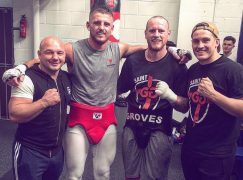 “I’ve been sparring with Craig Evans who is undefeated, Mitchell Buckland who is a good southpaw, his older brother Gary Buckland who is very good and Robbie Turley who is coming back on the same show as me. It was all top class and that’s what I need to improve.” Speaking of Yuseinov, Jenkins said, “We’re expecting him to come here to win. When they’re coming at me, they leave openings for me to catch and that’s better than the boys who come to survive. When I come up against people who bring it to me, I’ll come out the better of the two of us. “I’m not going out there looking for the knockout on Friday, I’m going to do what I do best and work off the jab, mix it up inside and get back to the gym to work on it.” Last month, Jenkins was nominated by the British Boxing Board of Control (BBBoC) to box Commonwealth champion Willie Limmond but he expects the Scot to fight British champion Curtis Woodhouse. 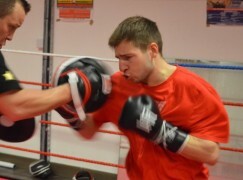 He said, “I’m in line for the British title after my next two fights. Maybe I’m ahead of where I should be at this time having only been a pro for two years, so I must be a half decent talent. 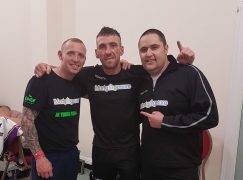 “When it comes to the Willie Limmond situation, obviously Curtis Woodhouse wants him and I can see him going to Scotland on the Ricky Burns comeback show to fight Limmond for the two titles. It’s all about politics and where the money is for them, I’ve just got to keep doing my thing and winning. “My manager and promoter Paul Boyce deals with all that side of things, if there’s anything I need to hear then he tells me and he arrange a meeting but he doesn’t tell me anything what goes on that I don’t need to know. “They say that managers and promoters will promise you this and that but don’t deliver. Well, everything that Mr Boyce has promised me, he’s delivered it and more. I’m WBC International champion and I wasn’t promised that in the first three years, so everything is going good for us.” In his last fight on Matchroom Sport’s ‘Reloaded’ show at Cardiff’s Motorpoint Arena, Jenkins picked up his first career title with a shut-out win over France’s Christopher Sebire for the WBC International title and he is expected to feature on Matchroom’s mooted show back at the Motorpoint Arena on May 17th. Speaking of the two subjects, Jenkins said, “People said I should have got my last opponent out of there but he was tricky and slippery. He boxed Bradley Skeete a week later at the weight above and he couldn’t get him out of there either. “There’s nothing confirmed yet for the next show and I’m not under contract to Matchroom or anything. People always assume I’m signed with Eddie Hearn but I’m not, we just work together and it suits both sides. “There’s talk out there that I’m going to be on the show in May. There could be big and better things coming for me on it, touch wood everything goes good. 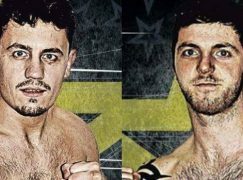 Obviously my main focus is on Friday, getting the ‘W’ whether I win by knockout or points.” Tickets for ‘Welsh Pride’ are priced at £30 for unreserved seating and £60 for ringside seating. To buy tickets, contact Sanigar Events at the Bristol Boxing Gym base on +44(0)1179496699. Image by Ciaran Gibbons.